Alternating Pressure Pads, Foam Mattress Pads, Gel Mattress Pads, and Pressure Relief Mattress Pads. Scroll down to see our selection of Mattress Pads for sale. 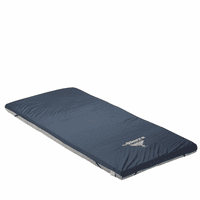 Mattress Pads are used to provide a layer of comfort and warmth between the user and the mattress. We carry a large selection of mattress pads for any need including foam mattress pads, gel mattress pads, alternating and pressure relief mattress pads. Mattress pad are designed to lay a top and existing mattress and are primarily made of foam. But mattress pads are also made of gel to provide a cooler sleep surface and prevent over heating. Alternating pressure mattress pads continuously push air through the pad to relief bed sores and pressure points that a lot of innerspring mattresses cause. Mattress pads are a helpful alternative to mattress replacement and can make sleep more restful..